Palanpur Junction Railway Station Phone Number, Enquiry No, Contact Number details given here. 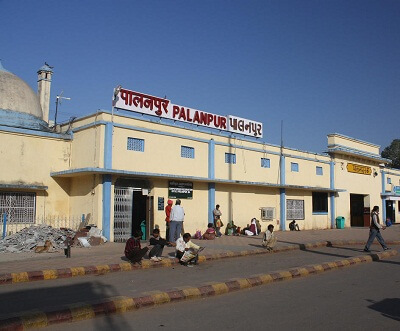 Palanpur railway station is one of the major railway station located in Palanpur, Gujarat, India. The railway station is under the administrative control of Western Railway of Indian Railways. So, let’s see contact details of Palanpur Junction Railway Station Phone Number, Enquiry No, Contact Number. What is the station code for Palanpur Junction? The station code for Palanpur Junction is PNU. What are popular hotels near Palanpur Junction? Some popular hotels in Palanpur are Hotel Lajwanti, Surya Hotel, Bhavani Villa, Hotel Golden. How many trains are passing through Palanpur Junction? Around 166 are passing through Palanpur Junction. Which are trains originating from Palanpur Junction? PNU BHUJ Passenger, GIMB – PNU EXP, PNU JU Passenger are some of the trains which are originated from Palanpur Junction.